According to CSNPhilly.com, despite Turco’s interest in playing for Philadelphia, the two parties differed and decided to walk away from any deal. However, with the interest the Flyers have shown in adding a cheap goaltender to split time with unproven Michael Leighton, it is to be expected that general manager Paul Holmgren will kick the tires on Niemi and see if the price is right. 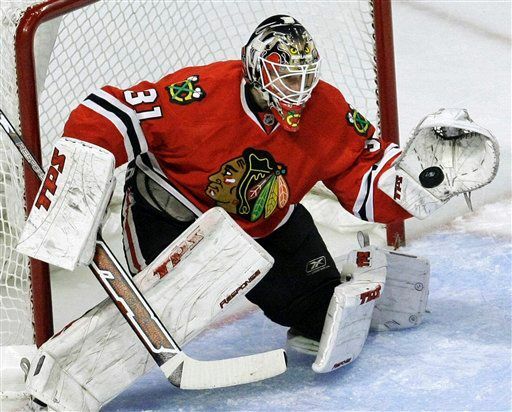 Niemi, a native of Vantaa, Finland, was signed as an undrafted free agent by the Blackhawks in 2008. Playing just a portion of one season in 2009-10, he recorded a 26-7 record and 2.25 goals against average. In early July, Niemi had some choice words for Philadelphia. UPDATE: Per the Philadelphia Inquirer, the Flyers have NO interest in Niemi. id love to have him..